"We're doing the right thing. We're taking care of these children," Sessions told Fox News host Laura Ingraham. "They are not being abused. The [Department of] Health and Human Services holds them in good conditions. They work hard at it." Ingraham played a clip of Hillary Clinton arguing that the separation of families is not “mandated by law,” and asked if that was true. "The president could pick up the phone tonight and stop this policy of separating children from their parents,” Ingraham said, asking what the “real truth” is. 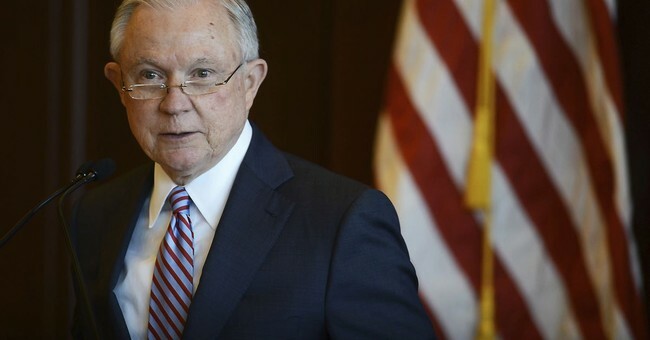 "Well I guess what she's saying is the president could just issue a directive that everybody that enters the country unlawfully be released into the country and never be apprehended or stopped or prosecuted for the illegal entry," Session responded. "Of course, in Nazi Germany, they were keeping the Jews from leaving the country." The policy was implemented as a result of a 203 percent increase in illegal border crossings between a one-year period from March 2017 to March 2018, according to the April 6 press release.